In this Episode of The ODDcast PODcast UK, Adam has to draft in a replacement after voicemails from Will and Ash mean they can't make the podcast. So reaching out to Friend of the Podcast Rita Ramnani serves well for their mix of random, dry, witty and down right cringe worthy humour. 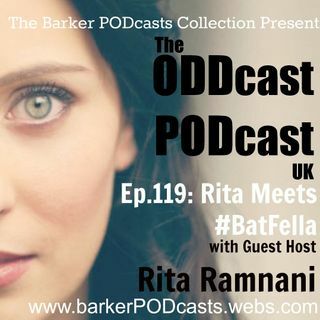 "The Adventures of #BatFella" Ep.1 - BatFella VS Wonder Chick starring the Adam Barker and Rita Ramnani. Written by Adam Barker.